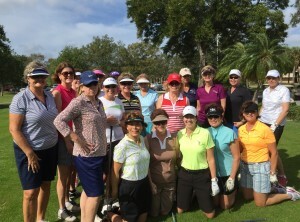 Cove Cay Golf Club is proud to offer a special golf league for women! 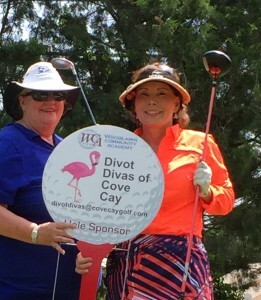 The Cove Cay Divot Divas have tee times on Sundays year round, and enjoy either a 9 or 18 Hole round with other women looking to enjoy golf with friends! In this league, beginners who haven’t had much experience on the course can be paired up with “veteran” golfers to the league, who will guide them through their round. Intermediate to advanced golfers are welcome too, as Cove Cay gives golfers of all skill levels all the challenge and difficulty they could ask for! With water on many of the 18 holes, and beautiful views of Old Tampa Bay, it is an event that you will want to participate in often. Ladies may sign up each week for golf that Sunday tee times and play on a week to week basis. Golfers can make a reservation to play on Sundays that suits their schedule. A commitment for more than one Sunday at a time isn’t necessary to participate in Divot Divas! The goal is to play golf in a non-threatening , friendly , fun environment where women can make new friends with other lady golfers who are looking for the same thing! Mrs. Kathy Arnold is our Divot Diva leader/organizer, and is happy to take your reservation each week! You may contact her at divotdivas@covecaygolf.com . You are just an email away from new friends and new fun on the golf course! We welcome you to join us and look forward to new ladies playing golf with us. Tee times are either morning or afternoon, depending on the time of the year and course availability. 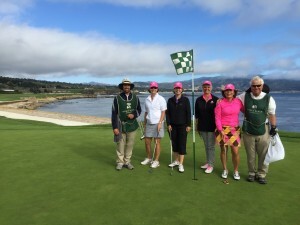 Divot Divas often meet after the round in our Bayview Pub & Grill for a delicious meal and fellowship!